There was a time when human beings lived side by side with nature, on which they depended entirely and with which they lived peacefully. Wherever they found a brook or even better a river, and fertile land, they settled down and formed communities. But gradually their needs and greed forced them to seek to prevail over nature and to control it, shaping it to suit their purposes. They put the wind to use, the heavy currents of water were controlled to turn mills and later to produce electricity. They drilled wells for water and later for oil. They used every element in nature to serve their purposes. One notable occurrence in the history of mankind was the development and building of dams, to control water that would otherwise go to waste, and to use this water for farming and for production of energy to turn the wheels of industries. Because of the nature of their land, Iranians were among the first people to build dams and today they are once again - after a long lapse - builders of dams of all sizes including very large dams over fast running rivers. Presently the 65 million population of Iran consumes 92 billion cubic meters of water. If we continue even just the present level of growth and development, within the next 20 years, the country will have a population of 100m that will require 140b cub m of fresh water which exceeds the quantity of 130b cub m of expected recoverable water of the country. The conclusions are that the present level of consumption cannot be sustained and that not much time is left before us for making the adjustments in consumption. The serious challenges ahead, and the shortage of time available mean that making use of experiences and findings of other nations, and cooperation and interactions among the various nations is no longer a choice but a necessity. Conscious of this necessity, Iranian authorities became increasingly active in the international movement for water, such that in 1993, in UNESCO's 27th General Conference Iran was appointed as member of the Inter-Governmental Council and in 2001, in the 31st Conference, Iran was reelected as a member. 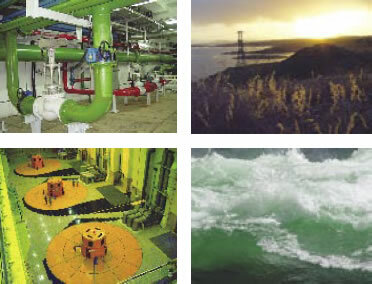 Iran carried out a series of very serious studies with respect to preservation of water, management of urban use of water, management of surface water etc, all of which UNESCO and the regional countries found very praiseworthy such that in 2002 Iran was elected as the Deputy to Head of the Council, representing Asia and the Pacific. The natural conditions of Iran are such that throughout history the country has had to preserve as much surface water as possible and to make maximum use of underground water through drilling wells and building qanats which are networks of wells and almost horizontal but slightly sloping ducts to carry water from where it is available, to the dry regions. Iran's dams have a history of 2000 year as in case of Bahman Dam in Shiraz and Mizan Dam (1700 years) in Shushtar. The major problem with building dams in Iran is the nature of the soil which is mainly clay and clay settles down at an alarming rate. As rain washes the clay and carriers it down to the plains to form rivers the clay settles down on the beds of the rivers particularly where the speed or rate of flow of water is low which is the case where rivers face dams. The settlement of clay results in the reduction in the volume of water behind the dams and in the reservoirs behind the dams filling up, unless the bed of the reservoir is dredged at high costs. Measures have been taken to control the clay content of rivers at the feet of the mountains but these have not been very successful so far. Dams provide electricity without using fuels and are therefore very friendly to the environment. Dams provide water for agriculture and drinking water for urban areas. Dams control floods in heavy rains. Lands surrounding dams can be provided with modern irrigation systems to give very effective farming. 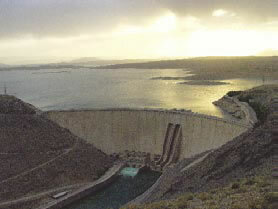 From 1947 to 1978, a total of 13 modern dams were built in Iran with a total capacity of about 13.2 billion cubic meters of reservoir. From 1979 onwards Iran was forced to use local engineering know-how and Mahab Ghods Consulting Engineers Co emerged as a water and dam consulting firm. In the period 1979-2004, a total of 153 dams were built and today Iran has 1,668 hectares of irrigated land thanks to its dams, and 11,584 megawatts of potential electricity of which 5,508 megawatts are being used. Furthermore, about 24.9 billion cubic meters of surface water are now under control. The technology and know-how for construction of modern dams was, in the past, controlled by the developed countries entirely. But for the past two or three decades Iran, like many other countries, has developed the local know-how and techniques for designing and building dams of any size. The International Commission on Large Dams was established in 1928 as an NGO with its base in Paris, in order to enhance the necessary knowledge for building large dams. Today, there are 84 member countries that control 90% of the world's water resources, and Iran is a prominent member. In fact, the next general meeting of the Commission is to take place in Iran as the host country, in April-May 2005.